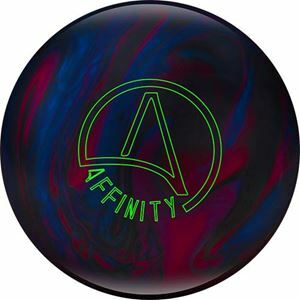 The Ebonite Affinity is the perfect ball for anyone who knows that striking is their true calling! Utilizing a new core shape from the Affinity Symmetric, the Affinity is designed to generate more length with a strong backend reaction on medium oil conditions. This makes the Affinity a fantastic benchmark ball with its high RG and medium differential ratings. Combined with the GB11.2 Pearl Coverstock polished to a 500/1000 Abralon and Powerhouse Factory Finish Polish finish, the Affinity glides easily through the heads to create tremendous striking ability with fantastic energy transfer right where you want it - the pins! 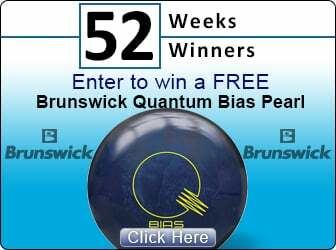 Ebonite's newest ball has an Affinity for striking. The Affinity features a brand new higher RG core that is designed to give effortless length through the front of the lane of medium conditions with a strong downline motion. The Gamebreaker 2 Phenom Pearl and the brand new Affinity are the perfect 1-2 punch for late in a block of games.